Most dogs will live anywhere from 8 to 17 years old, but here are some of the longest-living dog breeds. You might be surprised by this list. Ever wonder what the shortest- and longest-living dog breeds are? Here’s another question: Remember your grade-school reading lists, where you learned the ins and outs of life through books like Old Yeller and Where the Red Fern Grows? Dogs and humans make the perfect pair and often share unbreakable bonds, just like in those books. That’s why it makes perfect sense to consider a breed’s life span when thinking about bringing a new dog home — you want them with you for as long as possible. If you want to know what the shortest- and longest-living dog breeds are, this article is for you. Before we dive into the list, let’s talk about how dogs age and why some live longer than others. So, if a dog was 14 years old in “human years,” they’d be 98 years old in “dog years.” That means a 14-year-old dog — young by human standards — is actually old by canine standards. Just like humans, though, some dogs live far longer than others. In fact, the longest-living dog on record was an Australian Cattle Dog named Bluey, who lived to be 29 years and 5 months old. Of course, that instance is well outside the norm. On average, and when taking size into account, the American Kennel Club (AKC) says most dogs will live anywhere from 8 to 17 years old. Typically, larger dogs fall on the lower end of that spectrum and smaller dogs on the higher end. Why Does a Dog’s Size Matter? A research team looked into why large dogs typically live shorter lives. According to their findings, published in American Naturalist, “Large dogs age at an accelerated pace.” In other words, while they might be young in age, their bodies tell a different story. Psychology Today broke down the study even further by comparing 2 dog breeds — the Chihuahua (about 6 pounds) and the English Mastiff (about 200 pounds). To reach full size, a Chihuahua’s body can mature slowly because they don’t have too much growth to do in the first place. On the other hand, the giant Mastiff breed has to develop into a 200-pound dog, which means these dogs need to age far quicker to become fully grown adults. To put it simply, large dogs age faster, even after they’re fully grown. While a dog’s size and rate of growth is out of your control, though, there are things you can do to make your dog’s life better, whatever their size. Feeding your dog a healthy diet to prevent obesity or unhealthy weight gain. Staying up to date on veterinary checkups, vaccinations and preventive medicines. Being aware of breed-related diseases and their symptoms. In truth, making sure your dog lives a long and healthy life is a lot like making sure you live a long and healthy life. OK, so now that you know how dogs age, do you know what dog has the longest life expectancy? Let’s talk about which dog breeds live the longest. Chihuahuas weigh in at a whole 6 pounds for the average adult, and based on the study findings mentioned above, one of the reasons they live so long is because their aging process is slow. 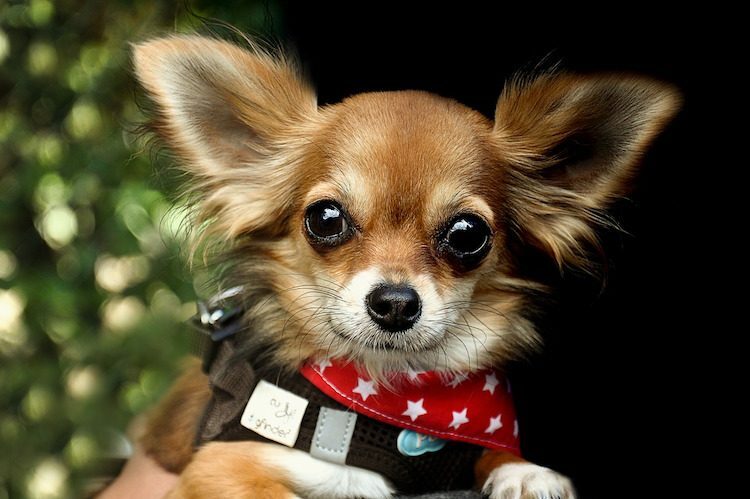 Most healthy Chihuahuas can live 14–20 years. As a breed, Chihuahuas tend to be affectionate, easy to groom and friendly around kids. They do, however, need training from a young age to make sure they’re properly socialized. 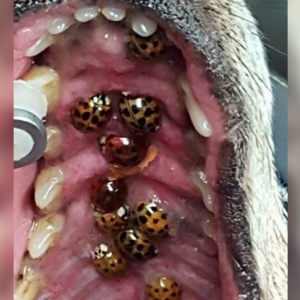 Otherwise, you’ll risk them becoming aggressive around strangers and other dogs. Yorkies are another dog with a generally long life span. These lively pups can live up to 16 years as healthy adults. Like some other small dog breeds, Yorkies can pack a big punch when it comes to standing their ground. Don’t try any funny business around “their people,” or you’ll see what we mean. Just like with Chihuahuas, though, by training and socializing from the start, you should be able to enjoy day-to-day life with a Yorkie for many years. It’s no surprise by now that the longest-living dog breeds are mostly small, and the Pomeranian is no different. 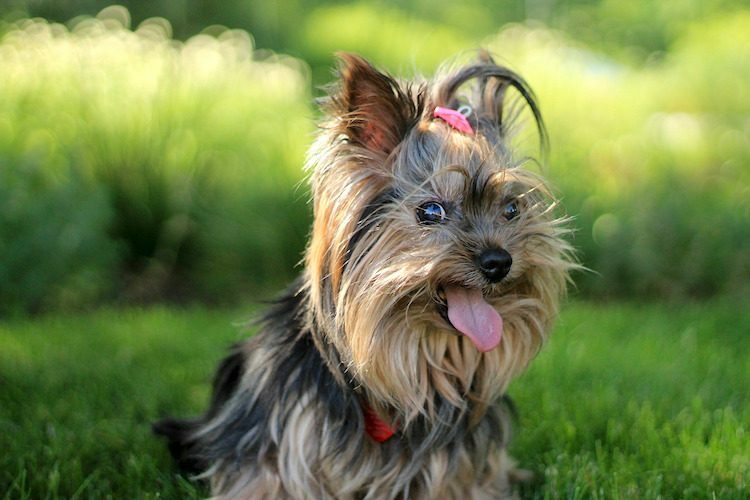 Like the Yorkshire Terrier, these dogs can live up to 16 years old as healthy adults. 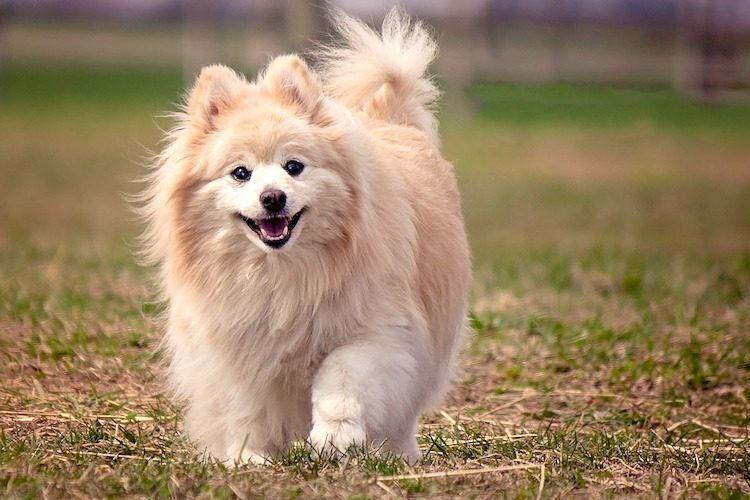 One of their favorite forms of exercise is the agility course, which many Pomeranians compete in. In general, this breed tends to be smart and easy to train. 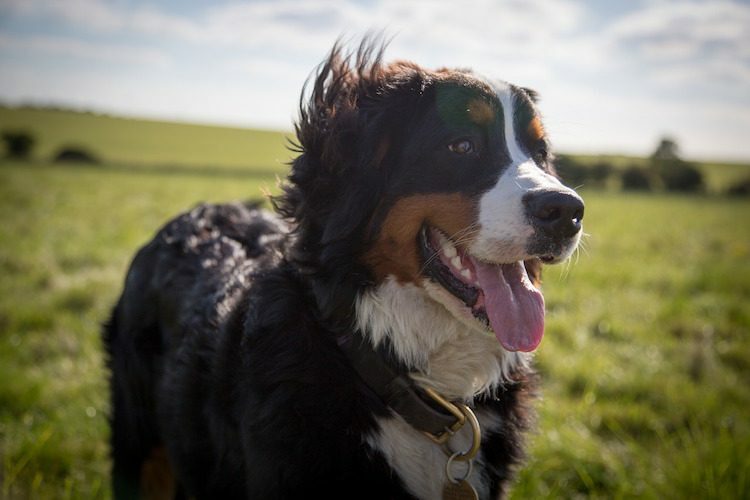 Although their grooming needs are a bit above standard because of their long and fluffy hair, they’re still a low-maintenance dog when it comes to everyday life. Poodles are popular for people looking for an impressively smart dog. Toy poodles, who grow to be about 10 pounds at the heaviest, are easy to care for and manage. 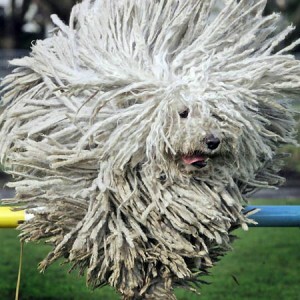 Even better, they are a smart addition to any family with allergy problems — these dogs don’t shed much. 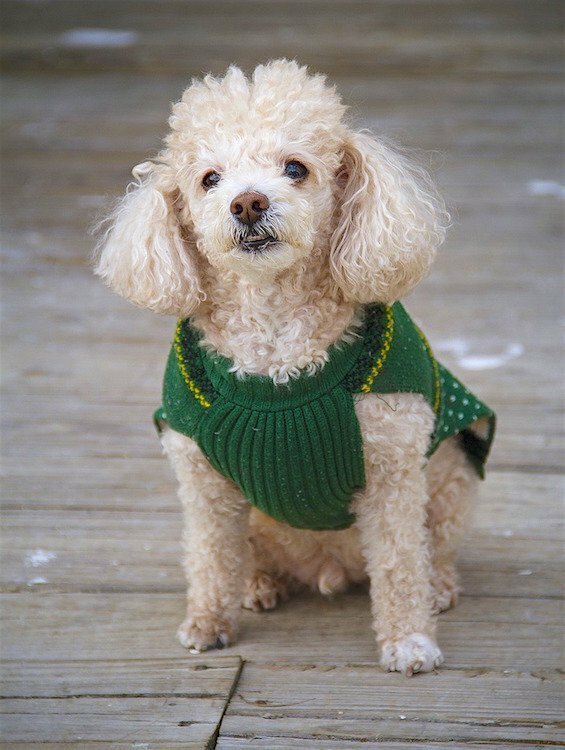 In terms of life span, a healthy Toy Poodle can live more than 15 years, making them one of the longest-living dog breeds around. 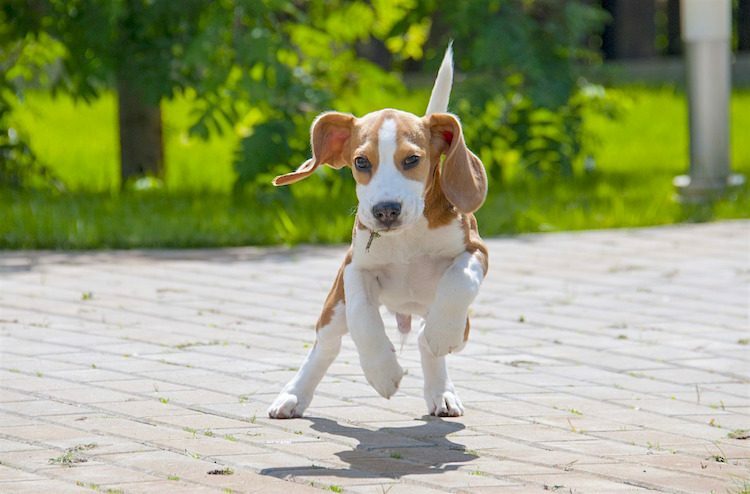 Beagles are an all-around easy dog to raise and care for. Not only are they laid-back, but also they have life spans of up to 15 years. Unlike the breeds mentioned above, Beagles are medium-sized dogs generally weighing around 25 pounds. This breed can be a bit stubborn, but these dogs are smart and eager to please. When trained and socialized early, Beagles are great around strangers, kids and other pets. Follow all the regular norms to keep them healthy, but pay extra attention to their diet and weight. Since their bodies are long, weight problems can also lead to back and other health issues. According to the AKC, the Dogue de Bordeaux (also called the French Mastiff) is one of the breeds with the shortest life expectancy. Healthy adults live 5–8 years on average. 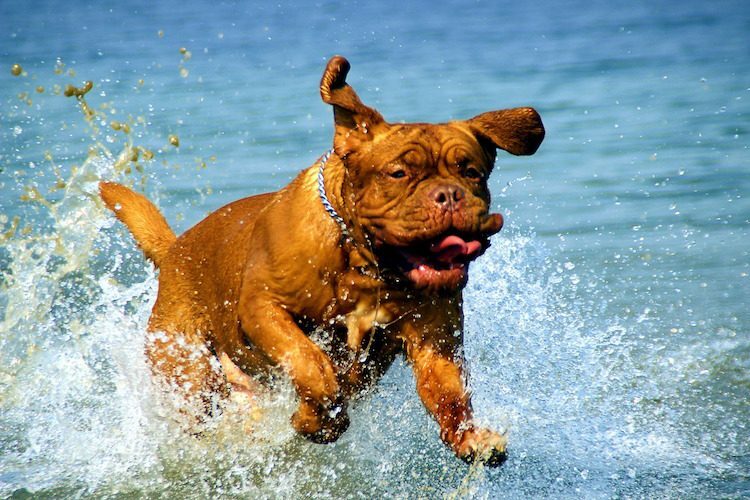 Not surprisingly, the Dogue de Bordeaux is also one of the largest breeds. Males weigh in at around 110 pounds on the low end, with adult females starting at around 100 pounds. Even at such a large size, though, these dogs do well in apartments and small spaces — they like to lounge around most of the day. They’re also great with families and kids. 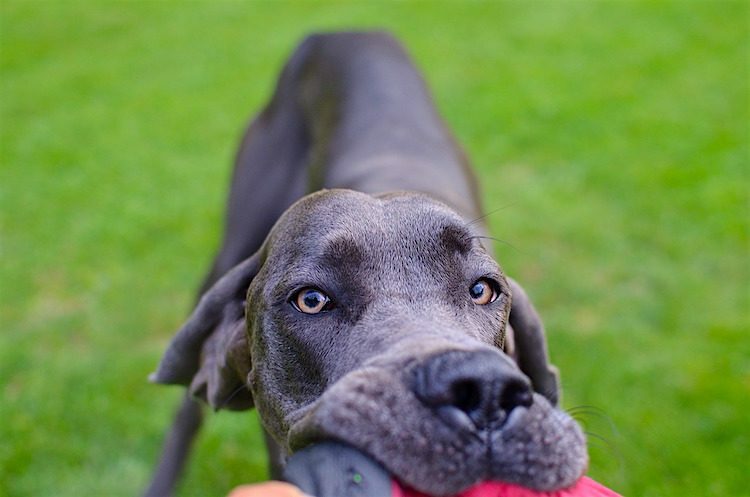 Great Danes are another huge dog (they can weigh 175 pounds or more) with a short life span. They live an average of 7–10 years. Great Danes are loyal to their families and great around kids, other dogs and strangers. They’re the true definition of a loving companion, which makes it hard to think about their short life expectancy. 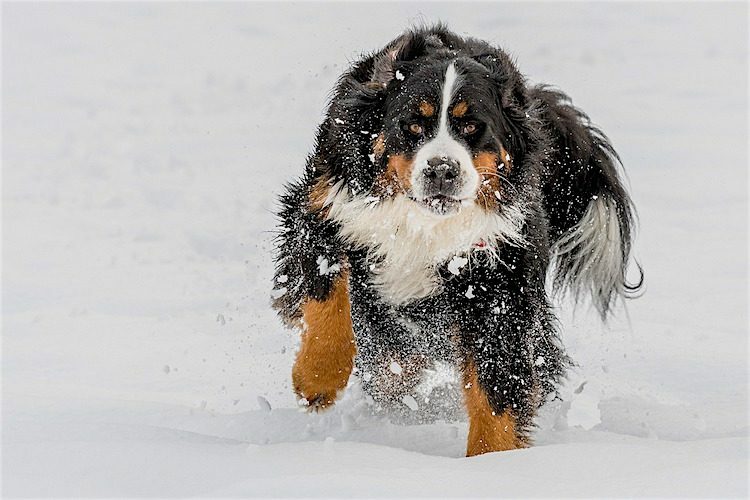 Bernese Mountain Dogs live an average of 7–10 years and weigh up to 115 pounds. For outdoorsy people, you won’t find a better companion. These dogs are rugged to the core. Expect to find them out on the hiking trails or plunging into mountain streams. 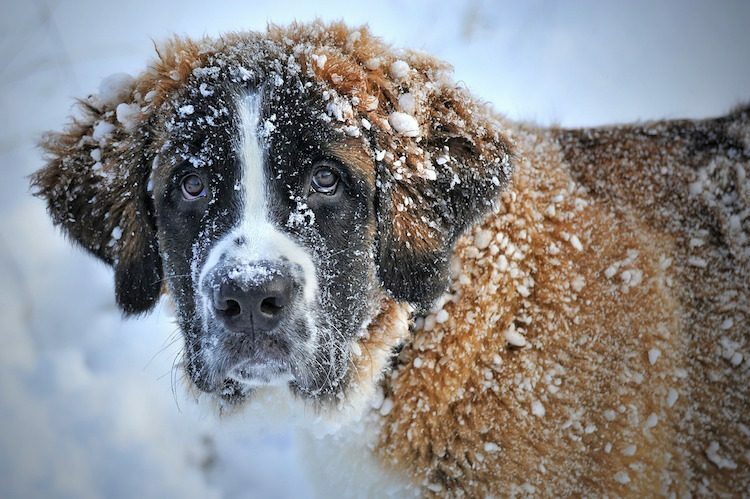 Saint Bernards were originally bred to find and save pilgrims traveling through dangerous and snowy mountain paths between Switzerland and Italy. Now, Saint Bernards are often found as “nanny dogs” because of how well-behaved they are around children. 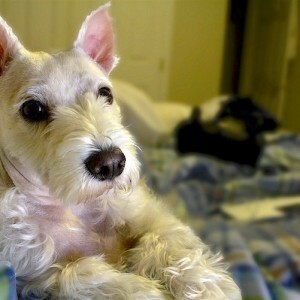 Their loyal and loving demeanor makes them great family dogs. Their average life span is 8–10 years, and they can weigh up to 180 pounds. 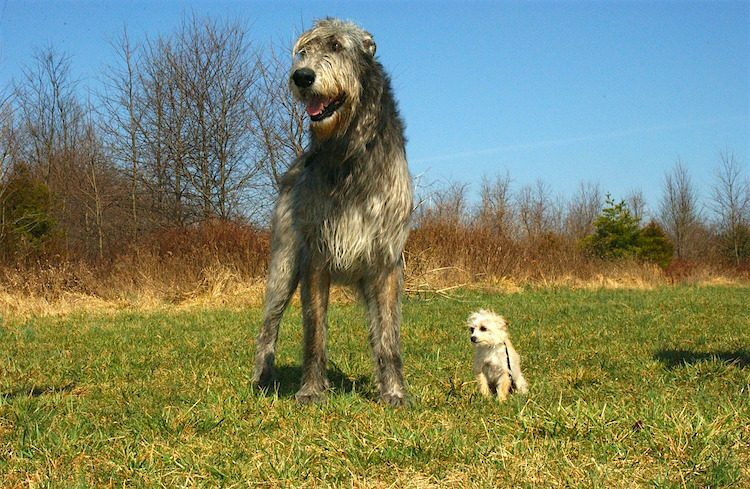 Irish Wolfhounds originally hunted elk and wolves. At their massive size, it’s no wonder (males are nearly 3 feet tall at the shoulder and weigh around 120 pounds). Today, though, Irish Wolfhounds make great family dogs. Like the Saint Bernard, they’re well-behaved with kids, strangers and other dogs. Because of their large size, this breed’s average life span is only 8–10 years, even when living a healthy lifestyle. You know by now that, in general, small dogs live longer than large dogs. But what about the exceptions? Which big dog breeds live the longest? Here are a few large breeds with abnormally long life spans, given their size. 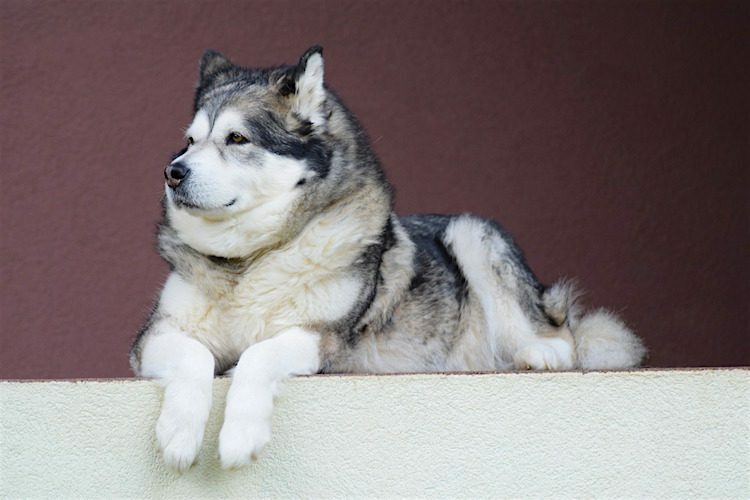 The Alaskan Malamute can weigh up to 100 pounds. Unlike the other giant breeds on this list, though, they live an average of 10–14 years. While that’s still not the same as the potential 20-year life expectancy of Yorkies or Chihuahuas, it’s certainly longer than that of most large dogs. 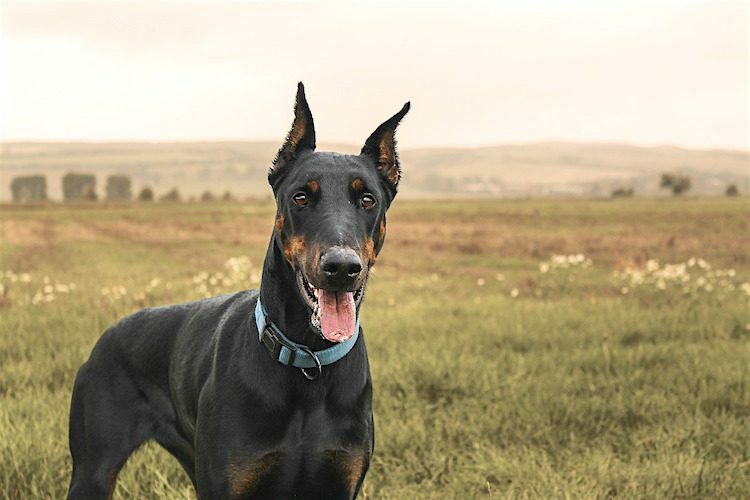 Dobermans are smaller than Alaskan Malamutes (about 80 pounds at the largest), making them a dog to more realistically manage if you’re not comfortable with a 100- to 200-pound breed. Their life span meets the average of most dogs, regardless of size — they can live up to 13 years as healthy adults. Standard Poodles weigh up to 70 pounds as full-grown adults and can live up to 15 years. Not only that, but they’re also smart, great with kids and families, and simple to groom. 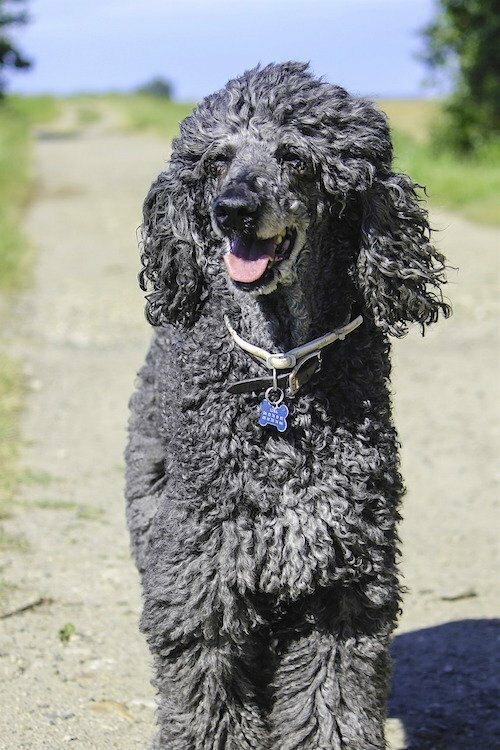 When it comes to the healthiest and longest-living dog breeds, the Poodle fits the bill. There’s a lot to love, and as long as their breeders are responsible and ethical, these dogs aren’t prone to many serious health issues. While no dog can live forever, there are ways you can help extend your dog’s life expectancy, no matter their size or breed. How healthy is your dog’s diet, really? If you can’t definitively answer that question, it might be time to rethink it. 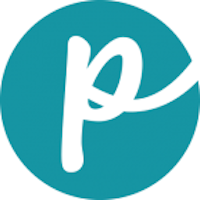 The best way to feed your dog exactly what they need is to ask your vet or a pet dietitian. How many calories they need. What type of food is best for them. How frequent their meals should be. Keep in mind that treats and table scraps can turn an otherwise healthy diet into a bad one. Make sure any treats are accounted for within your dog’s daily nutrition plan, and only include dog-healthy human foods as part of that. Just like diet, exercise needs vary from dog to dog. Ask your vet what type of exercise your dog needs and how much. You might think taking your dog on a daily run is healthy for them, but depending on their own specific needs, you could be wrong. The only way to know is by asking a professional. It doesn’t stop with exercise, though. Keeping your dog mentally active is important to longevity, too. Keep the training going into old age, just for fun. Train your dog to navigate obstacle courses, or leave puzzle games out for them while you’re away. By making sure you’re doing everything for your dog possible, they’ll have the best chance of living a longer life. Burke, Anna. “How Long Do Dogs Live?” American Kennel Club. July 14, 2016. https://www.akc.org/expert-advice/health/how-long-do-dogs-live/. Kraus, Cornelia, PhD, et al. “The Size-Life Span Trade-Off Decomposed: Why Large Dogs Die Young.” American Naturalist 181, no. 4 (April 2013): 583. https://www.ncbi.nlm.nih.gov/pubmed/23535614. Coren, Stanley, PhD, DSc, FRSC. “Why Do Large Dogs Have Shorter Life Spans Than Small Dogs?” Psychology Today. Jan. 19, 2017. https://www.psychologytoday.com/intl/blog/canine-corner/201701/why-do-large-dogs-have-shorter-life-spans-small-dogs.